All of yesterday's happy was kicked in the wazoo and my skulls-aplenty attire really suited the office mood. My poor colleagues are swamped. DEATH MURDER STABBY KILL. Big projects and deadlines are so last season ammirite? Along with the death of my lunch plans, was the death of the shoes I wore today. As I walked to get my takeaway lunch, Marky-Mark (I christened them that, don't judge me) started ripping apart and I had to walk back barefoot. Ok, this post is turning waaaay too morbid. 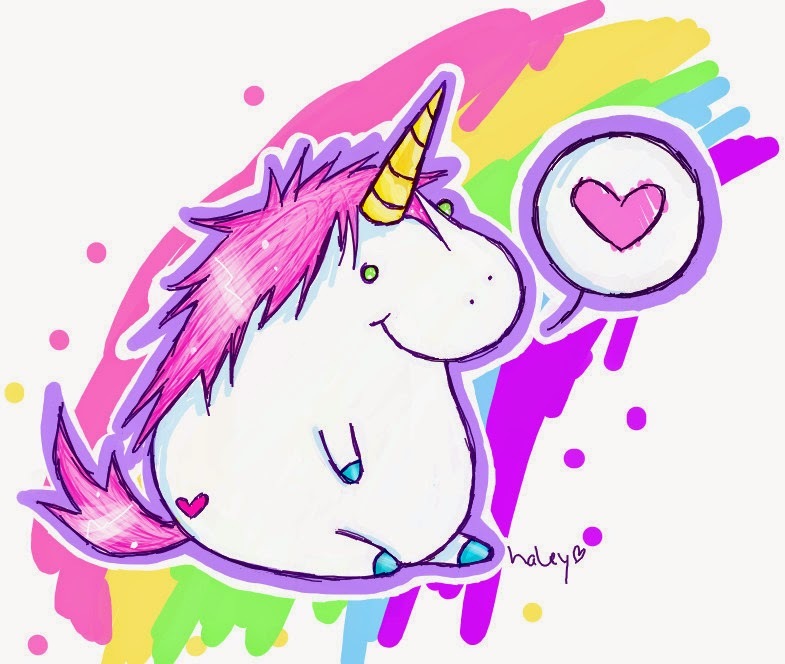 Here's a picture of a fat unicorn to make things better. Thanks for reading, hope you weren't all STABBYMURDERDEATHKILL today.